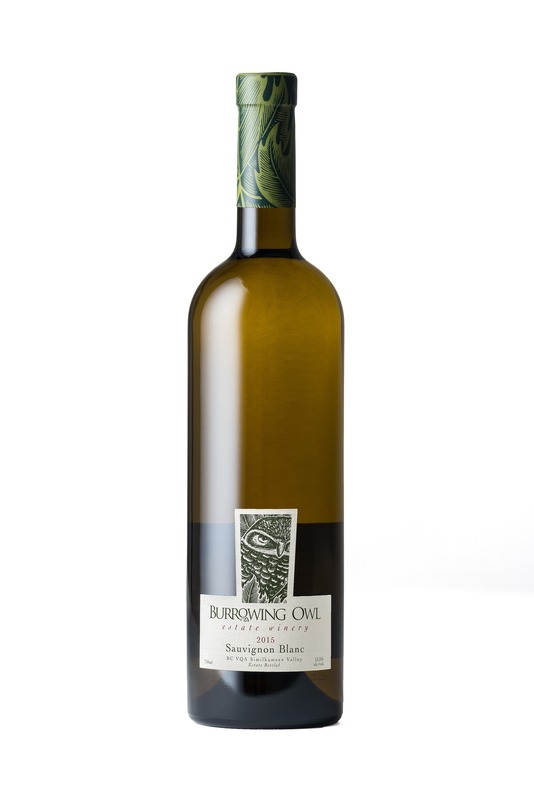 Aromatic and intense, the 2015 Sauvignon Blanc opens on a complex combination of peach, pear and cantaloupe melon overlying subtle toasty vanillin oak and hazelnut undertones. The palate has both richness and freshness. It is dry, crisp in acidity with powerful flavours of lemon, passion fruit and stone fruit and given extra body and complexity through the barrel ageing. The finish is long and crisp and integrates nut and lees notes beautifully with the generous fruit. Try this paired with rich white fish with beurre blanc or lobster with garlic butter. Rhys Pender, Master of Wine. The Sauvignon Blanc grapes were harvested by hand from September 4th to 17th 2015 from our vineyard in Keremos. They were hand sorted and dropped whole bunch by gravity into the pneumatic press for a gentle extraction of the juice. After completion, 52% of the juice was fermented and aged in tank to promote its delicate and fresh fruity flavours. The other 58% was fermented and aged in a selection of oak barrels in order to develop the mouthfeel and to infuse woodsy, toasty and spicy undertones. After 4 months and 3 rackings, the wine was filtered, stabilized, and bottled.